While this type of bridge may be a more economic solution to providing a bridge across a river, the main problem is that its capacity to carry traffic is a lot less than a standard bridge. As a result they were briefly popular at the beginning of the 1900’s, before the motoring age led to increased road traffic volumes and therefore bridges with more capacity. In total around twenty were constructed around the world. However only nine now remain, of which only six are in use. The first was constructed in Bilbao, Basque Country. This bridge is called the ‘Vizcaya Bridge’ and is considered to have such engineering importance that it has been declared a World Heritage Site by UNENSO. Below is a picture which I took from Google Earth (street view). 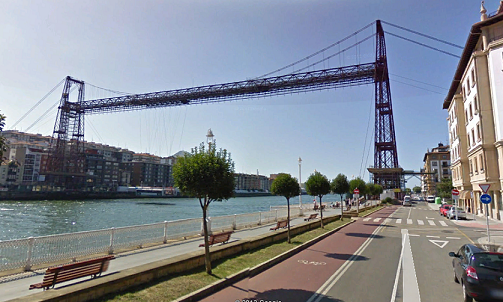 Although starting later than the Basques, the French constructed a total of six transporter bridges. However only one remains, the others having been destroyed during the Second World War. 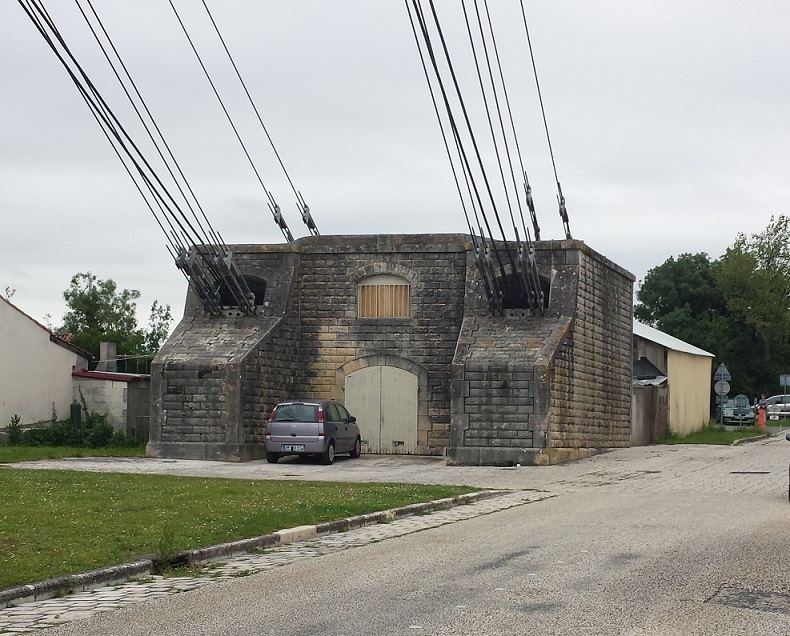 Thankfully this one surviving French bridge remains in use. It was this bridge that I visited a few weeks ago. 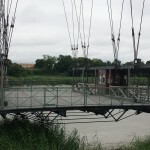 The bridge is only in use in the Summer as a modern, and busy, road bridge has been built adjacent to it. It is located close to the town of Rochefort on the Atlantic coast. This town should not to be confused with Roquefort, of Roquefort cheese fame. 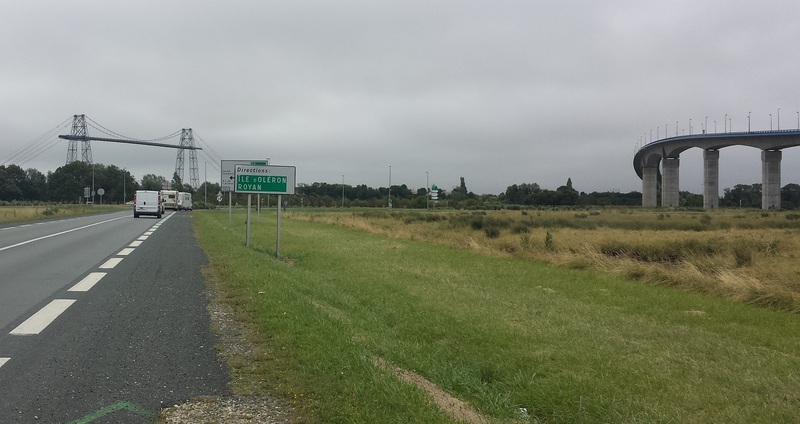 Which is 400km away from Rochefort…..yes I made that mistake. Visiting the bridge you are struck by the shear size of it, I felt like an extra in the War of the Worlds film. This size must have astounded the locals even more when it was built more than 100 years ago. It looks wonderfully industrial and its individual importance is only enhanced by the small numbers of these bridges built, which are all different sizes. Its usefulness may have waned because of the rise of the motor car, and there are certainly more attractive bridges. But it still represents an important step in the evolution of the modern bridge. I took a few photographs, see below and click to enlarge, and while the overcast day made for a prefect day for a car journey it didn’t really help for the photographs. Another issue was that the shear size of the bridge made it difficult to get a good shot close up. 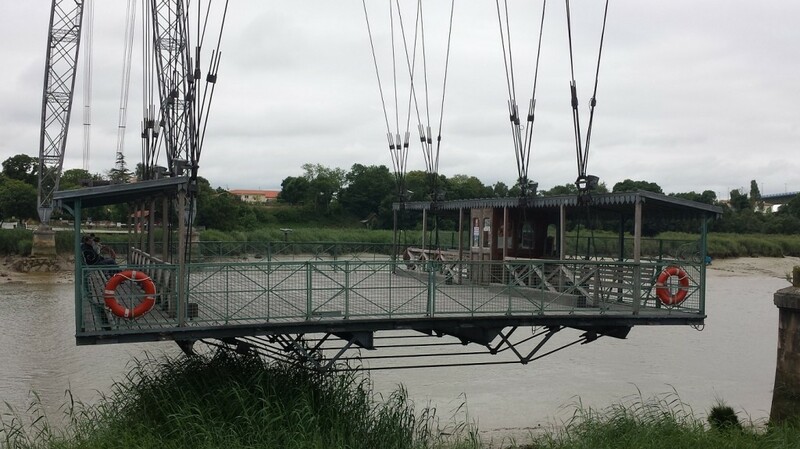 The bridge is located South of La Rochelle and North of Royan, so if you are passing the area, it is well worth a visit. 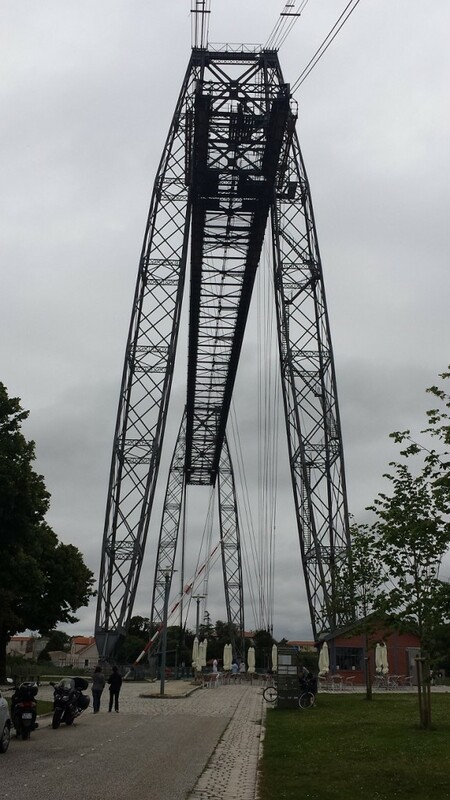 Length 175.5m, height 66.25m, Commenced construction 1898, 2 years to build. It was designed by Engineer Ferdinand Arnodin. It is currently open to traffic from April to October every year. For more information see the official website, here, the website is in French, English and German. It also has a 360 degree photograph that you can manipulate, its almost like being there.